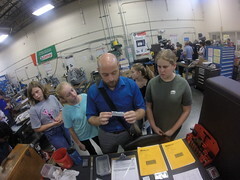 We were very happy to receive help from the Gene Haas Foundation so that we can continue our work training machinists for the Modern CNC Machining World. This will be put towards any deserving apprentice who may need financial help to attend our award winning program. I was very happy to get a photo with Dave Thomas from Haas factory Outlet- HFO Tampa as he gave me the info on the need for an instructor at what was Sarasota County Technical Institute in July 2013. We are now in year 4 and after this year we will have produced 88 machinists with training in Day class and advanced Fast Track CNC Evening school. 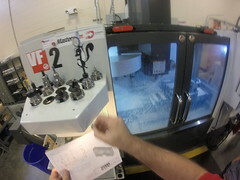 This year we have just started a MasterCam University Certification course. This will be a stand alone night course but it is also available to our day students who train with us for a year. 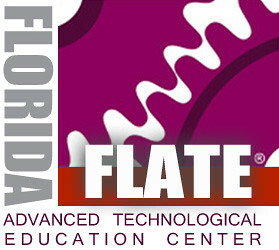 STC has produced 23% of all the NIMS credentials for the State of Florida. Furthermore STC hosted the first HTEC CNC machining educators conference in 2016. 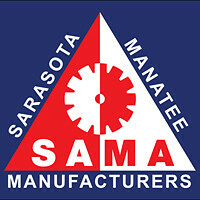 We are very pleased to have chosen the best equipment and educational support from Haas Automation and we will continue to help the needs of Florida with more trained and skilled CNC Machinists. We have many industries like aerospace, Defense, Medical implant and surgical tooling, Mold making and even Disney world has CNC machining. 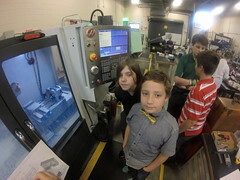 This entry was posted in Machine Shop and tagged Aerospace, CMM, cnc, CTE, Defense, Gene Haas, Gene Haas Foundation, Haas CNC, Machinist, manufacturing jobs, MasterCam, Medical, SAMA, Sarasota, Verisurf, Vocational. Bookmark the permalink.